Is Your Business Acting On These Five Insights From GoogleAnalytics Yet? 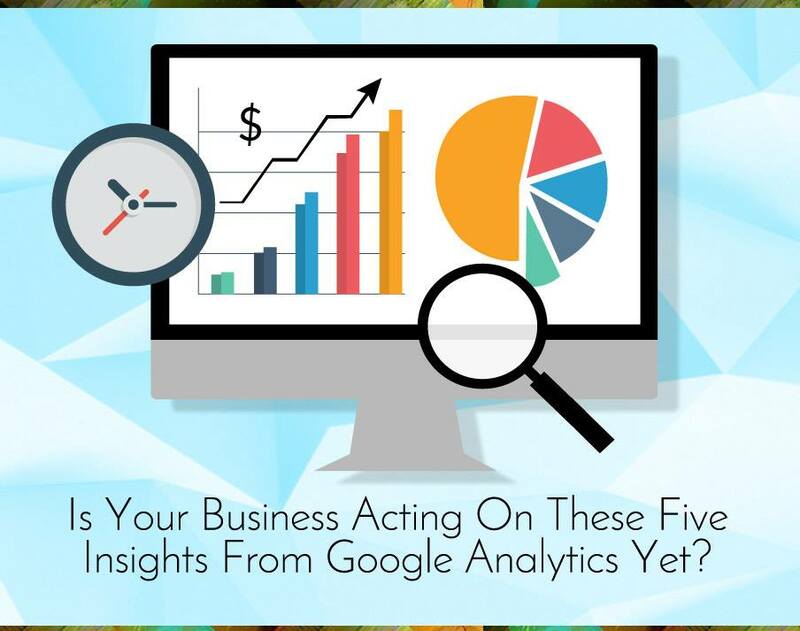 Is Your Business Acting On These Five Insights From #GoogleAnalytics Yet? 1. Where did your visitors come from? Do they already know who you are? Understanding the points of origin for your web traffic is critical to identifying new ways to increase your visitor rate. 2. What do visitors do when they arrive at your website? When you identify patterns of behavior among visitors, you can streamline those preferred pathways for easier and more engaging interaction. 3. Where do your visitors drop off? We recommend taking a close look at the page or pages that most commonly result in visitor exits from your site because these are your prime opportunities for content improvement. 4. How engaged are your visitors? What actions are they taking? Analyze your visitors’ actions while on your site. What are they clicking on? Are they taking the actions prompted for them? 5. Finally – what’s your conversion rate? The single most important analytics metric to watch is your conversion rate. This figure represents the number of visitors who turn into customers – perhaps by adding a product to their carts […] or actually completing a sale.